I highly recommend INTESOL Japan – while I started my first job in Japan, I applied to INTESOL Japan as a way to help me with my new teaching job. I decided to get some guidance to teaching. I learned so much through INTESOL Japan. My tutor, Mr. Rocco Nigro was a great help and was always there to give me good feedback on my work. I would recommend the INTESOL Course who hope to have a successful teaching career. Thank you INTESOL Japan! Over the last 10 months of taking TESOL online course was a steep learning curve for me. I have learned so much from the course. Actually, I didn’t have a strong desire to become an English teacher. However, I decided to take this course as I wanted to make myself open to new possibilities. I am truly grateful that I successfully completed the course. I would like to say thank you to my online tutor for giving me continuous support. I thoroughly enjoyed learning new things and I am sure this experience will help me achieve my goal. I’ve been teaching English in Japan for almost 20 years. But when I suddenly found myself job hunting again, I decided I wanted to get a TESOL certificate to improve my chances of being hired. I considered attending a course at a university, but that option was something both too far from where I live, and impossible to fit into my work schedule. However, thanks to INTESOL’s flexibility, I was able to hunker down and finish my course in two weeks during my free evenings while on a school trip. My tutor was also very helpful in getting useful feedback to me promptly, and in adapting to my fast work speed so I could finish the course fast enough to incorporate INTESOL’s certificate into my job hunt. If you’re looking for a way to get a TESOL certificate in the midst of a busy schedule, INTESOL is it! I’ve been teaching English for six years in Japan. I applied to the 180-hour INTESOL course to broaden my teaching skills, hoping to get a certificate which enables me teach English not only in Japan but also in other non-English speaking countries in the future. This course helped me to analyse and troubleshoot problems in my classes and create lesson plans that are more learner-centered. Although some tasks were challenging, thanks to the useful feedback of my tutor, I was able to finish the course with the A1 standard in about seven months. Through the course, I learned the importance of communicative approach from the native speaker’s point of view, which was very helpful because it was quite different from the approaches taken in my country. I recommend this course to anyone who is determined to learn the methodological basis of teaching and willing to improve classroom learning experiences. I am planning to continue learning with INTESOL Japan. As I was approaching two years being an Assistant Language Teacher, I couldn’t find my own way around certain issues I was experiencing with planning lessons and engaging students, so I knew it was time to sign up for a TEFL course. I stumbled upon the INTESOL JAPAN site and I am glad I registered for the 150 hour course. It was challenging, but with the help of my tutor, I was able to make changes in my planning almost immediately. My tutor always gave practical and detailed advice and solutions and because of this I have felt my confidence rise in my ability to be a dynamic and responsive teacher. I plan to revise the study material and feedback I was given consistently to continue to improve my teaching. I recommend this course to anyone who wants to feel more confident in their teaching abilities. I took the 150-hour INTESOL course and learned what student-centered class is and why it is important. It was harder than expected to make an effective lesson plan considering students who have different goals, levels, and other individual variations. However, through the clear and detailed feedbacks from INTESOL team, I could finish this course with the A2 standard. I highly recommend this course to teachers and potential teachers who want to learn how to maximize students’ involvement and develop their communication skills more effectively. Ever since I started teaching English in Japan 4 years ago, I have been striving to improve my teaching abilities. I wanted to take a TESOL course but, being busy most days, the cost, and not wanting to travel too far, I wasn’t sure how to do this. However, when I found INTESOL Japan I found I could not only study from home at an affordable price, but I could also earn a certification on how to teach a wide range of levels and ages. As I teach both young children and business English I chose the 180-hour course. The course didn’t disappoint and I learned just how much of an art teaching is. I am very thankful to my tutor, Rocco, who provided me with great feedback and support and helped me to improve myself. It was tough at times, but I enjoyed it and I felt a great sense of accomplishment on completion. I would definitely recommend INTESOL Japan! I highly recommend INTESOL Japan – when I arrived in Japan I was keen to give other people of different nationalities the confidence to speak English – I had never given a English lesson before so I decided to get some guidance to teaching. I myself learnt so much through INTESOL Japan – the modules are clear and I found the course challenging enough to keep me excited about learning. The course work flows well and you are able to build on knowledge learnt from previous modules. The feedback I received after submitting each module was constructive and always gave me confidence to continue. I have managed to help teach a little Japanese boy some English skills and I will definitely say this is through the knowledge I gained from INTESOL Japan. I will continue to use my knowledge gained and appreciate the learning experience. When I came to Japan, I was introduced to the world of ESL. During that time, I was wrestling with studying Japanese and doing part-time English teaching jobs. I wanted to study the basics ESL on my own time and become a better teacher as well, That’s why I decided to enroll with INTESOL Japan. Every part of the course is valuable and informative. It helped me nail down the basics of building a good classroom and making effective lesson plans for my students. I thoroughly enjoyed every module and tasks given to me. My tutor, Frank, never failed to give me insightful feedback about my work and has assisted me throughout the course. I am grateful to have enrolled in this course and looking forward to furthering my knowledge with INTESOL Japan again. Highly recommended to anyone who wants to venture the world of ESL. I completed my course in INTESOL Japan. And I still find it very useful. The reason I studied in INTESOL Japan because I wanted to improve my knowledge in english teaching and able to earn tesol certification for my future career as an English teacher not only here but overseas. I had fun studying in INTESOL Japan from what I experienced. I wound recommend INTESOL Japan with affordable price. I’m an ALT on the JET Programme. After my first year, I finally understood the Japanese school system and the expectations of class work and activities. I decided to obtain my TESOL certificate at the beginning of the next school year, so I could further understand how to make the classroom more interesting and how to construct organized lesson plans. I decided to pick INTESOL Japan’s 180-hour course because the price was affordable and it’s an approved course. It also has many positive reviews, so I decided to choose this course. The program is easy to follow and I was able to complete one unit per 1-2 weeks. My tutor was also prompt on grading my assignments and answering any questions I had. I would recommend this program to anyone looking to gain their TESOL certificate on a lower budget. After working two years in Japan as an ALT, I was looking for avenues where I could develop more as an educator. I enjoyed teaching and wanted to further my career. 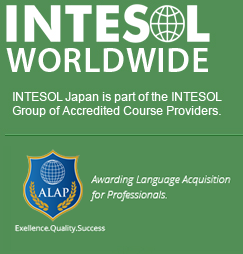 I heard about TESOL teaching certificates from a friend, and after some research online I came across INTESOL Japan. I was interested in them since they focused on learners in Japan, where I was living. I registered for the 150 hour course, and it was very enlightening. Although a little challenging, the lessons I learned from the course have helped me immensely in my career and have really helped me find success in the classroom to say the least. My tutor, Mr. Rocco Nigro was a great support and was always there to give me great feedback on my work. He also continued to support me even after I had finished my course and was looking for my next job. I recommend INTESOL Japan to anyone who is looking for new insight on teaching methodology and furthering their career as an ESOL educator. I fully enjoyed the 180-hour INTESOL Course, which was quite informative with regard to both conceptual guidance on how to become a good teacher and specific teaching techniques and ideas. The course provided me with invaluable training, useful knowledge and information, and confidence to pursue a new career. I am completely satisfied with this course, and I highly recommend it to anyone looking for high quality training in teaching English. 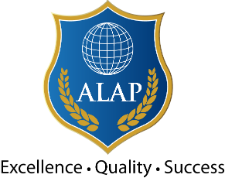 It was only after working as an Assistant Language Teacher for two and a half years that I determined to study TEFL/TESOL formally. Having no education on the teaching of English, or even teaching at all, I wasn’t sure what to expect or what to look for in a TESOL course. I think I was fortunate to have chosen to take the INTESOL course as the lessons and skills that I learned have proven priceless. The practical and sensible information in the course is supported by theoretical discourse that helps you build a variety of skills on top of a strong TESOL foundation. I would definitely add my voice to those saying you will not regret studying TESOL through INTESOL. I am from a person from non-native English country. But I have learnt English and followed a number of English courses at institutions and a Diploma in a university. So I worked as an English teacher. During that period I thought to follow TESOL 180 hours course .My tutor was Mr. Rocco Nigro who always helped me with my questions and feedback me soon. INTESOL is a high quality training and its guidance necessary for teaching at a professional level English. It conducts a special programme called Webinar which is useful for students who want to know more facts about the unit. So I recommend the INTESOL Course who hope to success teaching career. I had been teaching English for four years at a private institution and and a college when I decided to take this course. It was when I started to find some aspect of teaching extremely difficult. I am satisfied with this course because it gave me some ideas for new teaching methods. I would recommend this course to current teachers who are struggling and/or willing to learn and try a new method of teaching, and prospectus teachers who wish to learn what teaching English is like. I guarantee that you will find new ideas that will stay with you for your entire teaching career. Having been brought up in the States, “English” is my native language, communication tool, and a big part of my life. I started teaching English 5 years ago, and was keen to seek chances to study “English Teaching Methodology” so that I can teach English in a structured manner. Then I came across “TESOL”. TESOL course was a great opportunity for a native speaker like me to learn the tactics and practical skills of teaching English to non-native English speakers. Taking full advantage of my teaching experience, I introduced many examples when completing the given tasks, which resulted in high marks. This allowed me to gain self-confidence along with fresh notations from Mr. Rocco Nigro which enabled me to broaden my lesson planning view. TESOL, being an internationally recognized qualification, not only enabled me to widen my opportunities in teaching English as a career, but also provided me extra confidence in teaching English. I would like to take every opportunity to pursue progress and spare no effort to become an English teacher in Europe or in the States. After being an Assistant Language Teacher on the (JET) Programme for the past two years, enrolling in the 150-hour on-line TESOL course was a great way for me to further enhance my knowledge about teaching English to non native speakers. The modules of this course were very practical and the assignments given allowed you to think critically and assess the methods you use in the classroom. Completing tasks and reading the chapters associated with each module and unit allowed me to troubleshoot problems I had in the past with my classes and as I became more engaged and involved in the course I noticed a remarkable change in the way I approached planning my lessons and the way I designed activities which I wanted my students to participate in and complete. Studying the components and key aspects of TESOL in this course was not only informative for me but it proved to be beneficial for my students as I was now able to improve the quality of my lessons and also help them to enjoy learning English much more. I would recommend this course to anyone who is passionate about teaching TESOL and in particular to anyone who has no formal qualifications or training in this field. I think this course adequately equips you with some useful basic tools needed for TESOL while building your confidence as a teacher. In addition to all these positive attributes, the staff and tutors associated with this course are very polite and professional. They always address the concerns you have and are always readily available to you to offer you support and advice when you need it. Furthermore, your assignments are assessed objectively and professionally and the feedback which you receive about your work is always an in-depth analysis which shows how you can improve on your teaching ideas and methodologies. Overall the atmosphere and quality of service you receive from INTESOL-Japan is very professional and it was a pleasure working with the entire staff associated with this programme. Wanting to try something new in life, I decided to pack my bags and move from Australia to Japan. Having been outside of school for 10 years the 150-hour INTESOL Course quickly refreshed my English basics and provided an insight to the skills that would be required in the classroom for my future occupation. Doing the course online meant I didn’t have to sacrifice a lot as I could work at my own pace and my tutor Rocco, was always there for assistance when needed and supplied fantastic feedback for all my assessments. I recommend the 150-hour INTESOL Course to anyone considering a career in teaching English abroad. I have worked in Japan for several years and recently decided to refine my teaching skills by pursuing further training, credentials, and qualifications. Although there are many programs that may offer certification, I chose INTESOL because of their excellent reputation to provide high quality training and overall professionalism. INTESOL provided me with the training and guidance necessary for teaching at a professional level within any context and situation. My studies included teaching curricula, methodologies, classroom management, lesson planning, assessment procedures, and much more. My tutor was always available to answer my questions and provided me with invaluable feedback. I highly recommend the INTESOL course for anyone serious about obtaining TESOL training and certification. After spending two and a half years as an assistant language teacher the 150 hour INTESOL course helped prepare me for taking over my own classroom. It helped to draw my attention to the finer details of putting together a lesson and has given me ideas to bring to my current classroom. The modules were very helpful, good sized chunks focusing on a different aspect of teaching which gave me some new perspectives and helped refine some old one. I did feel though there was a lack of applied skills, for example marking a long piece of writing or resolving a classroom conflict. Whilst both aspects are covered, there was little chance to apply the skills learned during the course. Whilst I have some experience in both this could be something people completely new to teaching would struggle with. The 150-hour INTESOL Course was quite inspiring to me. I’ve been teaching English in Japan for years and have been quite comfortable with my experience. Still, I’ve learned a lot from the course and from my trainer, who I found really professional and has given me the encouraging feedback. I will move to Montreal next year and keep pursing my teaching career there. For those who intend to seek the English-teaching career abroad, the TESOL certificate is a must in many countries and earning it online with INTESOL is a good and efficient way to realize it. Good luck to you all. [After retirement from the business field where I worked for more than 40 years, I wanted to be an English teacher.] It was good to learn at this point of time the matters that English teacher should know or do in the class, such as teachers to teach communication, importance of involvement of students and caring teacher. The course also helped me to put important technical matters (grammar, pronunciation, etc.) in order. I enjoyed the candid comments of Rocco.